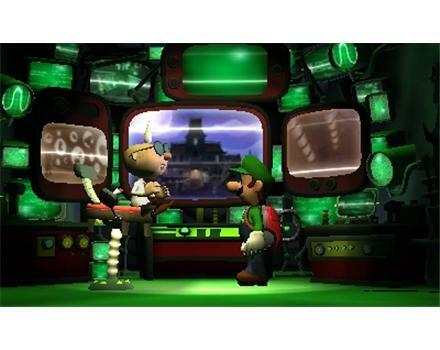 In 2001, Nintendo released Luigi’s Mansion for the Gamecube and it was good. The definition of a short and sweet video game, Luigi’s Mansion didn’t didn’t take longer than four hours to beat but was enjoyable enough to warrant multiple play-throughs (I think I beat it like seven times over the past twelve years). People liked Luigi’s Mansion, it was something new from Nintendo, and it would take twelve years before it would see a sequel. 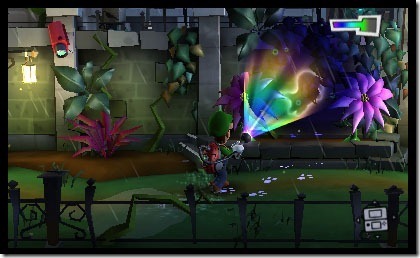 Yet the wait is over as Luigi’s Mansion: Dark Moon was released for the Nintendo 3DS this past March. The verdict: it’s pretty good. If you were a fan of the first game, I highly recommend you check it out. That being said, today’s article aims to explore a decision in the design and the positives and negatives that came with it. I’m going to talk about one of the greatest changes that separates Luigi’s Mansion: Dark Moon from its predecessor: the level design. As I said before, Luigi’s Mansion was a pretty short game. Luigi’s Mansion: Dark Moon is a good deal longer. I believe my initial play-through of the story mode took me roughly fifteen hours (nearly four times longer than the first game). So anyone out there who thought Luigi’s Mansion was too short, this is the game for you. Yet there is no giant mansion to explore this time. Probably a good thing as I am unsure if anything smaller than say, the mansion from Resident Evil, would be large enough to keep players entertained for fifteen hours. No, instead Luigi’s Mansion: Dark Moon opts for five mansions. None of them feel as large as the one from the first game but between the five: this is a bigger game. There is no one mansion in Dark Moon that holds a candle to the original. Yet Luigi’s Mansion: Dark Moon is designed for a portable system, not a console. This platform decision necessitated a different type of level design. 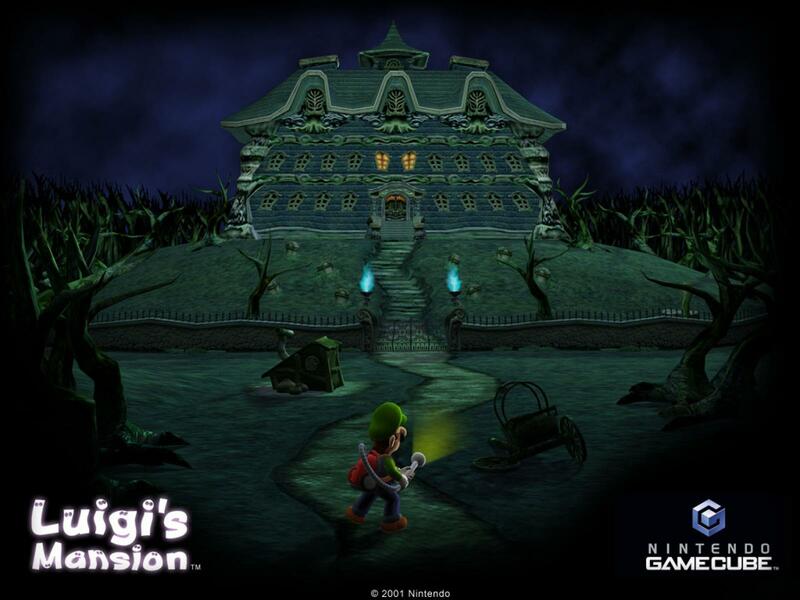 Anyone who played Luigi’s Mansion remembers wandering the halls of the original mansion, unlocking rooms, backtracking and only being pulled out to save at the end of every act (there were also Toads scattered throughout the grounds who served as save points). Basically, there was a degree of immersive exploration to the gameplay. The original could get away with it too as it was a console game: meaning a game the player had to sit down to play. Portable games today are designed to be played on the go, for those fifteen minutes of free time between stops. Look at Super Mario 3D Land (also for the 3DS), no level in that game takes longer than five minutes to complete. In the case of mobile games like Angry Birds, levels can take only seconds to clear. It’s smart design for portable systems. Frequent save points insure that progress can be made in relatively short time, allowing the player to progress without investing hours in a single sitting. Makes sense but what does that mean for Luigi’s Mansion: Dark Moon? It means you can expect to get pulled out of the mansions – a lot. Expect to see Professor E. Gadd every twenty minutes or so. Again this makes sense given recent portable game design but I don’t feel it was the right way to go for a Luigi’s Mansion game. The result is that the exploration feels a lot more like a mechanic than an organic part of gameplay. Remember when you completed an act in the first Luigi’s Mansion and certain things would reset (who could hunt for treasure in places you hunted for treasure before)? That happens every time you are pulled out by E. Gadd. This results in a lot of backtracking, backtracking that frankly feels nothing but tiresome after fifteen hours. I know I did not find everything in Luigi’s Mansion: Dark Moon but that’s because I didn’t want to. Vacuuming a vase or a table just looses its appeal after you’ve done it five times. The levels are smartly designed but expect to revisit them multiple times in search of elusive collectables. 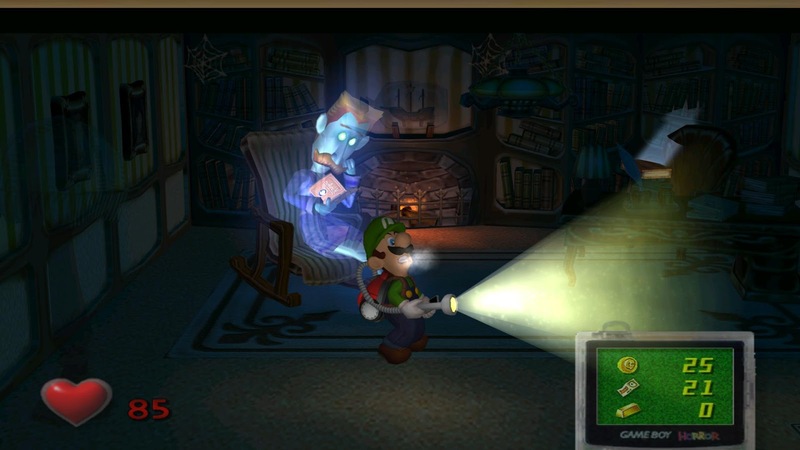 More than that, Luigi’s Mansion: Dark Moon has been slightly simplified since the first game. Remember the elemental spirits Luigi could suction up in order to shoot fire, ice, or water from his vacuum (it’s Nintendo logic, just go with it)? Well they’re not present in Dark Moon. So every puzzle can be solved by either sucking, blowing, or shining one of two light choices. The puzzles are still fun to solve, don’t get me wrong (even if there are one too many of them) but this is the long awaited Luigi’s Mansion sequel, I was expecting everything to be bigger and better. So yeah, you’re doing less but you’re doing that less more often. The rainbow-spectrum dark light is the new attraction. Works like your normal like but with more rainbows (and it reveals hidden objects). Don’t get me wrong, I really do like Luigi’s Mansion: Dark Moon. It oozes so much charm that it dares the player not to like it, and the controls work very well. The exploration mechanic was simply one of my favorite parts of the first game and I think this new one really loses atmosphere by making the levels must shorter and more objective based. In Luigi’s Mansion it felt like the player was being encouraged to wander, in Dark Moon there is more a feeling of being lead around. Does it make more sense given portable game design: yes. But why not just stick with what the first game did? A toad on every floor was fine for the quick save (a few more could have been added to insure there was always one around). 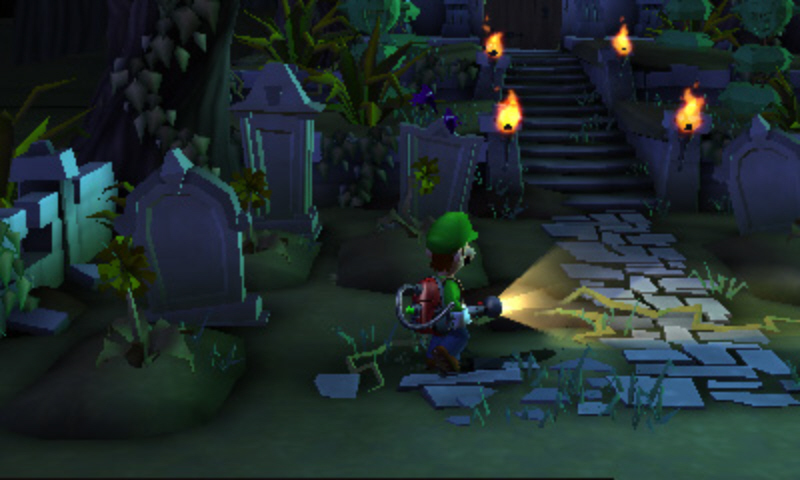 I liked exploring, it made Luigi’s Mansion a great treasure hunting game in addition to the best Ghostbusters game ever made. Another personal nitpick: while I like the ghost designs in Dark Moon, I really miss the painting-style ghosts from the first game. Oh yeah, treasure hunting, that brings me to my final point. Remember in Luigi’s Mansion how there was a point to it? The player collected gold and gems and then at the end of the game was rewarded with a house (maybe a mansion, maybe a tree house) based on how much treasure was collected. That is gone from Dark Moon. Instead, the money is used to unlock upgrades for the Poltergust 5000. This would be great if there were enough to keep the player unlocking. There are very few upgrades and you will have them all by the halfway point of the game. After that, there really is no point to the money. It strikes me as a very strange decision. On one hand: money gathering is more focused on thanks to the repeat gameplay. On the other: it matters a lot less and has no bearing on the game after a certain point. That is a decision that baffles me. If I’m going to be encouraged to do something over and over, I would like to be rewarded for doing it over and over. Nitpicks aside though, this is still the Luigi’s Mansion sequel and it is a great game. Personally I like the first one better (for the reasons just highlighted) but that’s just me. If you’ve been craving more Luigi for the past twelve years, you’ll be happy to know that the folks over at Nintendo (the publishers) and Next Level Games (the developers) did him justice. Now if we can just get one for the Wii U without waiting another twelve years… that would be great. 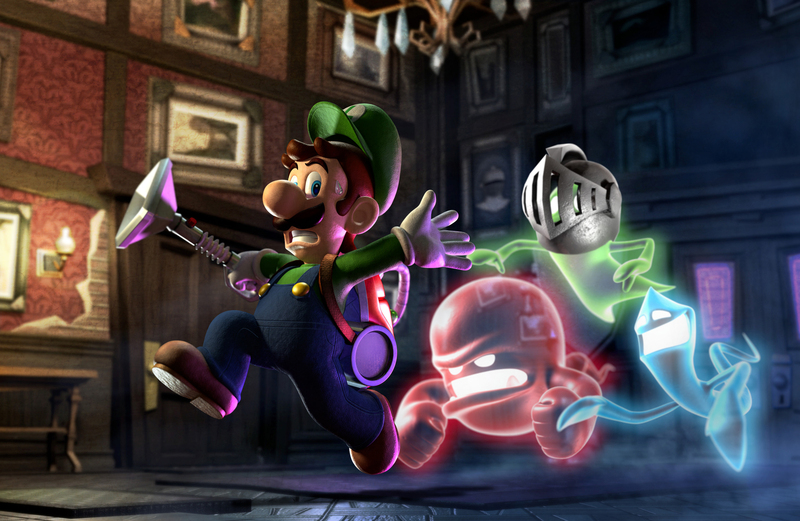 Pictures like this really make me want to see a fully HD Luigi’s Mansion 2 for the Nintendo Wii U. Thoughts? Comments? Am I full of it or onto something? Let me know now in the feedback section of this article.